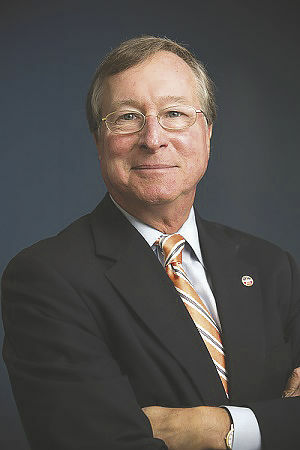 Edward Hamberger is president and CEO of the Association of American Railroads. “The world will not do something stupid,” famed investor Warren Buffett recently said when arguing that a trade war between the United States and its major trading partners is not as imminent as some say. The pri-vately owned freight rail industry, which moves billions of tons to market for just about every part of the U.S. economy sectors — including agriculture, energy and manufacturing in the Lone Star State — certainly hopes that is the case. Limiting commerce for American consumers and businesses is not only unnecessary, but counter to the continued growth of a rather healthy United States economy. The Trump administration and elected leaders in Congress should work in the coming weeks and months to enact and maintain free trade agreements that put the U.S. economy and workers on the best possible footing to succeed. This first means finalizing an update to the North American Free Trade Agreement (NAFTA), the trilateral pact between Canada, Mexico and the United States originally enacted in 1994 to allow for the flow of goods across these borders largely without burdensome tariffs. Abandoning the pact was never a wise or realistic idea, as it is simply too important to our daily lives. We are all too used to the immense benefits the deal has had, namely through lower costs for everyday goods. A 2016 report from the U.S. International Trade Commission found that bilateral and regional trade deals like NAFTA save at least $13 billion in tariffs annually and that results in massive savings enjoyed by American consumers. A NAFTA withdrawal would cost the average American household at least $650 per year due to increased prices and lower wages, according to a January report by Trade Partnership Worldwide. Thus, the White House is currently working to modernize the deal, a worthwhile endeavor given that it is now 24 years old. Private freight railroads, which alongside trucks and barges serve as the conveyor belt for key products and commodities moved across the continent, believe strongly in the positives of the deal. Industry data show that at least 42 percent of railcar loads, and roughly 50,000 quality U.S. rail jobs are directly associated with international trade — much of which occurs in North America. Without NAFTA, some of our biggest customers, from chemical companies, to beer makers, to automobile manufacturers, would very likely leave the continent altogether. More broadly, economists estimate that more than 41 million U.S. jobs today depend on trade. NAFTA alone has boosted the U.S. economy by $127 billion annually. And since NAFTA took effect, trade between Canada, Mexico and the United States has nearly quadrupled, reaching $1.3 trillion in 2014. The impact in Texas, the top export state in the country, is particularly compelling. The agricultural and food sector alone produced $11.3 billion in exports, with $4.7 billion, or 42 percent, of these going to Canada and Mexico. New data suggests this economic activity supports 3.7 million Texas jobs earning $160 billion in wages. Yet according to the American Action Forum, a NAFTA exit would impact $1 trillion in North American trade and expose businesses to $15.5 billion in new tariffs. The analysis shows that this would cost consumers at least $7 billion collectively per year — money that could otherwise be spent or invested. Texas Gov. Greg Abbott recently wrote to the Trump administration, noting, “NAFTA has enabled growth and economic stability not only for our state, but also for the nation as a whole, and for our neighbors to the north and south as well.” He couldn’t be more correct. Ultimately, while agreements can always be improved, and must put domestic workers first, lawmakers should avoid policies that hinder U.S. participation in the global economy. Economic prosperity in the future for Texas rests on access to more markets and consumers — not less.